It makes our day when our favourite celebrities and bloggers choose My 1st Years for their little ones. We’re so proud that every piece in our collection is made from high-quality, baby-friendly materials, which might be why celebs love them so much. 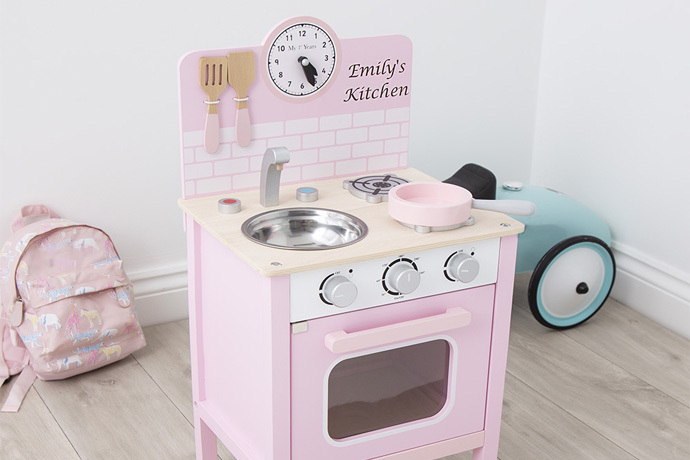 And of course, almost every item can be personalised – what could be more perfect for a little star in the making? We already shared some adorable celeb photos last year, and by now we’ve gathered so many more. 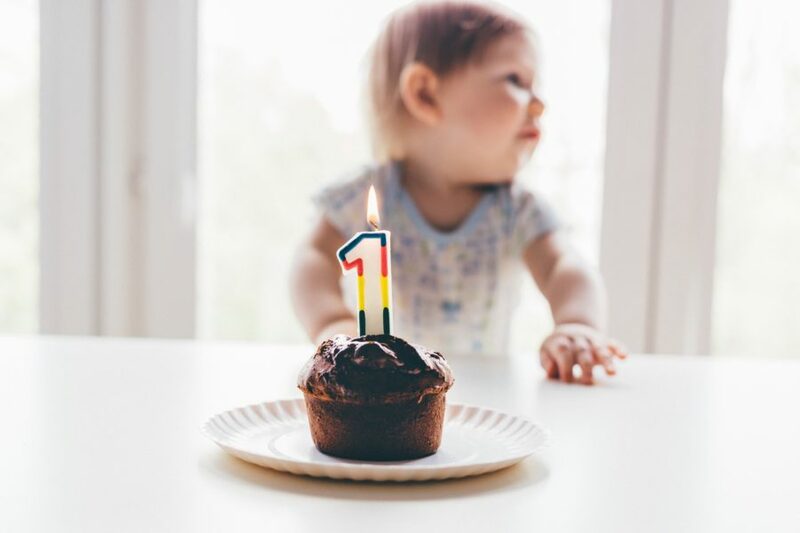 We’re in love with the way these stars have styled and snapped their precious wee ones in My 1st Years. 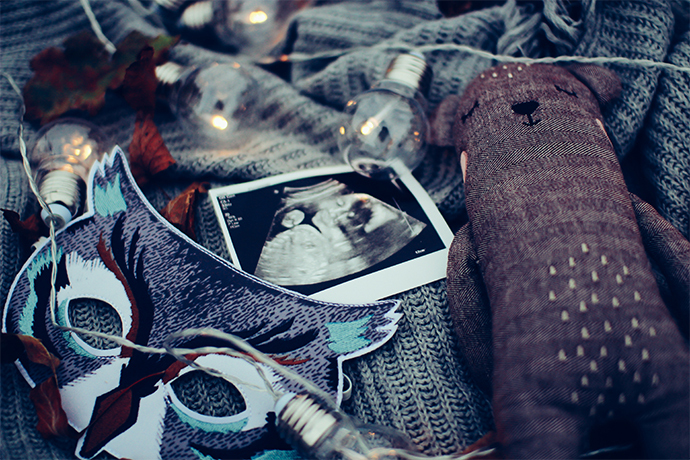 Take a look below and find some inspiration for your next baby photo shoot! The newest member of the Kardashian-Jenner clan, Khloé’s baby daughter True has fame in her DNA. 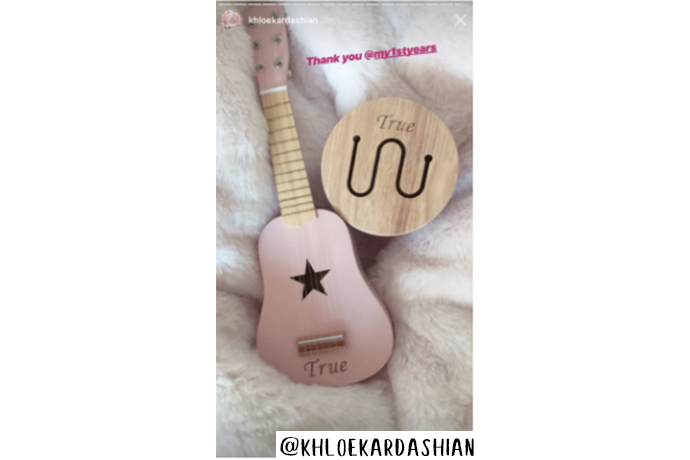 As Khloé shared on her Instagram Story, she’s bringing music into her daughter’s life from an early age. We hope True has fun getting loud with her pretty pink personalised guitar and mini drum. She’s all set to become a rock star if she keeps up the practice! 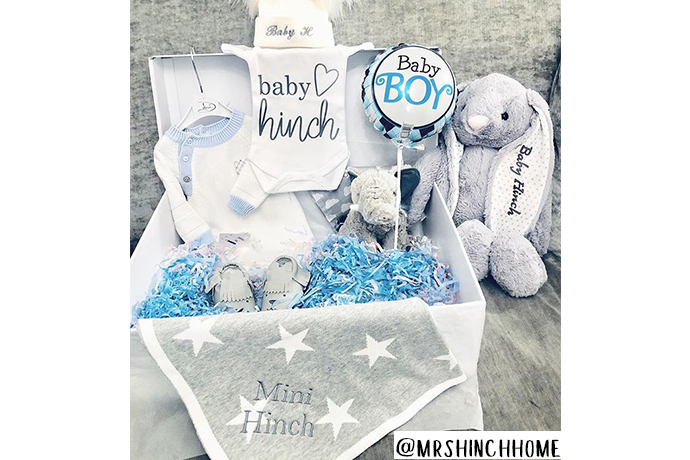 Mrs Hinch’s tiny new Mini Hinch isn’t even born yet, but he’s getting a head-start on style with these gorgeous grey-toned treats. This personalised star blanket is one of our favourites, and utterly essential for the chilly winter months. Those sweet bear moccasins are both cosy and crazy cute, while so-soft Mr Bunny over there is sure to become his first BFF. 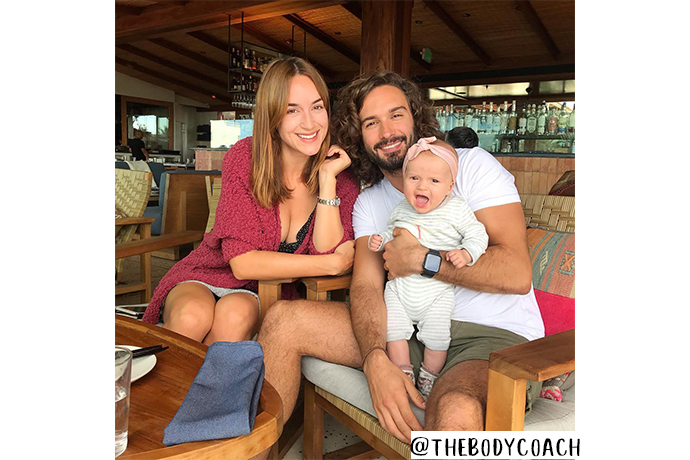 The Body Coach has become The Baby Daddy! Doesn’t it look like the new family are having so much fun? We’re sure little baby Indie will inherit her Dad’s infectious energy. She already has the cheeky Wicks grin going on! Indie is giving us heart-eyes in her adorable grey striped romper, personalised just for her of course. Joe isn’t the only fitness guru who’s chosen My 1st Years for their firstborn. 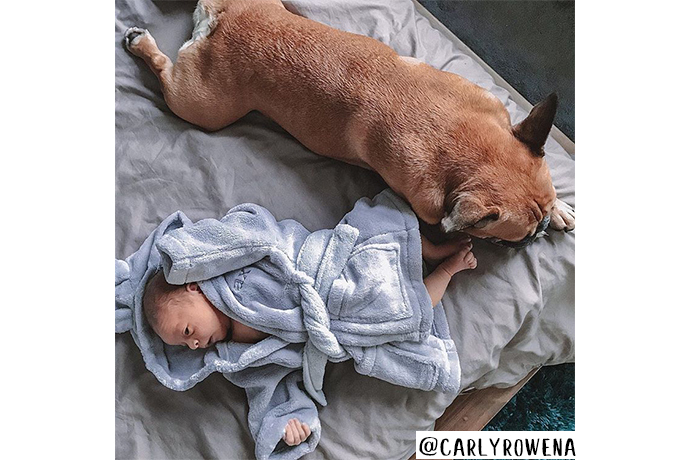 YouTube health goddess Carly Rowena wrapped her brand-new bundle Jax in our plush grey personalised robe. Doesn’t she look so precious, lounging alongside big brother Steven the Frenchy? We love how Carly highlights the many soft textures of robe, blanket, carpet and doggie to create this cosy shot. It’s hard to believe Harry’s daughter Lola is at nursery age already. All parents know that heart-tugging feeling when you send your precious person out into the world for the very first time. It’s enough to make us miss those sleepless teething nights! 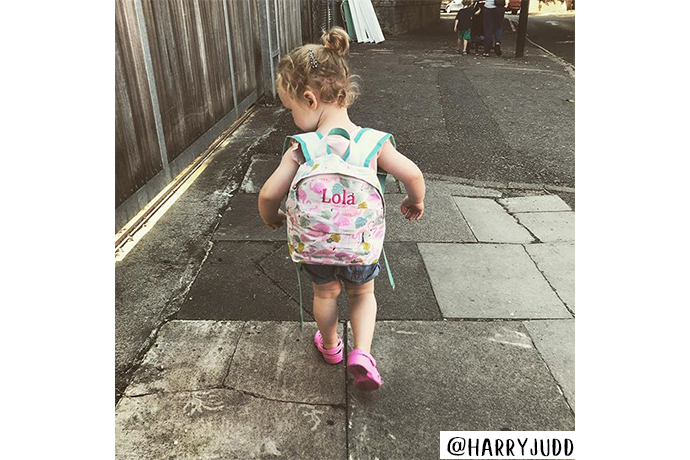 Harry has captured the beauty and the poignancy of that moment in this lovely shot of Lola on her way, with her pink personalised backpack along for the ride. Unfortunately that backpack has since sold out but not to worry we have a great selection of bags for little boys and girls. It’s so meaningful to watch our little ones grow up and become big brothers and sisters, guiding their younger siblings through life. 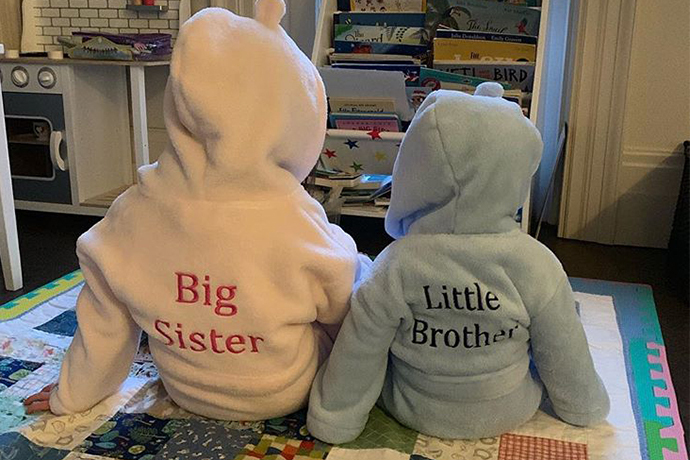 There’s nothing quite like that special bond, which our Big & Little Sibling robe set celebrates. 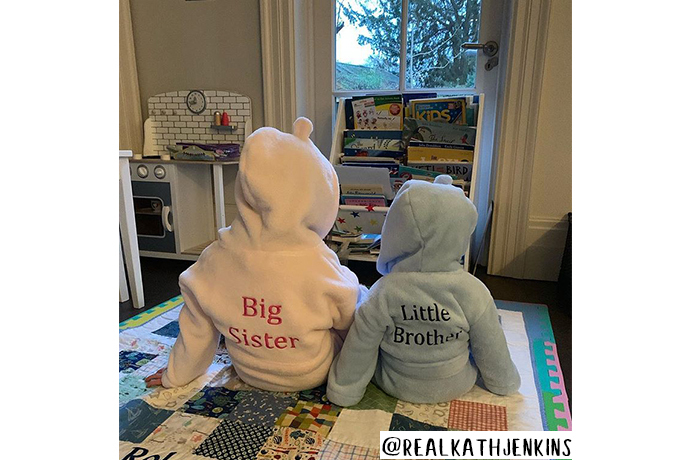 Katherine Jenkins shared this sweet snap of the sibling bond in action, as her daughter Aaliyah reads a morning story to little brother Xander. Have you spotted any celebrity cuties wearing My 1st Years? Tweet us to let us know!